Below is a blog post from my friend, client and content guru extraordinaire, Chad Barr. Chad is the magic behind the website and much of the content. His newsletter and blog are always good, but this one was too good to resist sharing! Chad’s key takeaways about creating content are spot on, and many of them apply to law and other fields as well. Creating remarkable content is one of the key attributes of the most successful global thought leaders. Over the years, I have helped many of our clients create thousands of pieces of content in a variety of media formats such as articles, podcasts, videos, books and courses. My key objective when working with clients is to extract their wisdom and creatively, artfully and successfully share it with the world. 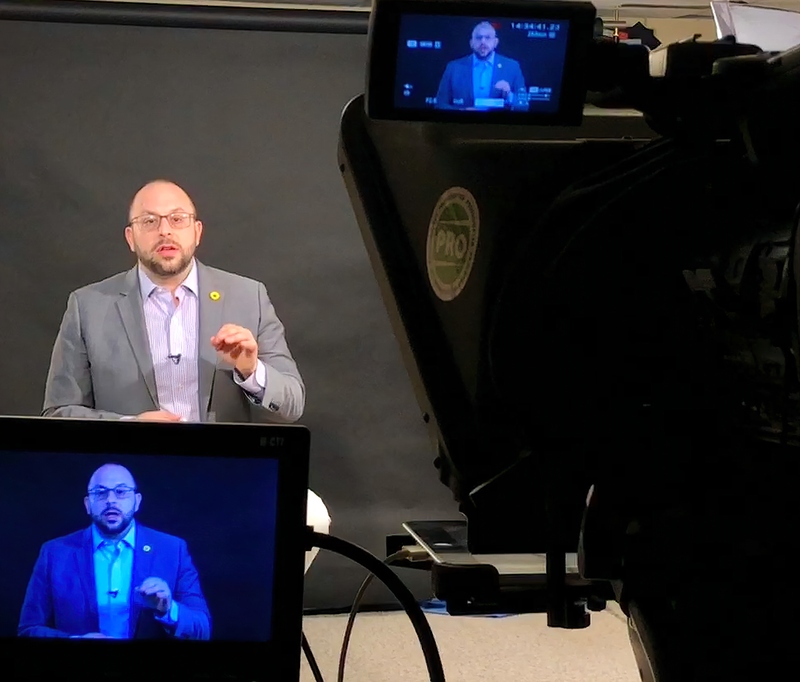 Yesterday, I was privileged to host in my studio my client and friend, trademark attorney and expert, Erik Pelton, (shown in the picture) and work on crafting new and amazing content, which will be available on videos on his site shortly. So, stay tuned. It takes courage to be out there and commit to creating powerful content to impact others. It also takes both mental and physical energy to deliver content with passion and enthusiasm. Preparation is vital for content quality and confidence building. Being in the moment is as important as getting prepared. Applicable and interesting stories and examples are the glue that keeps us engaged. Having a trusted adviser who can direct and challenge you and offer advice in the moment is crucial to achieving great results. Some clients are most at ease speaking spontaneously directly into camera or in an interview style, while others shine and excel when using a teleprompter. Both require practice. The more you do it the better you get at it. This is my proven formula. Do it consistently and over time you’ll notice your content being transformed into your digital empire.